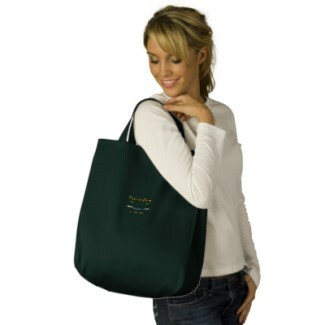 If you are shopping, having dinner, etc. in Puerto Rico, do not throw out your receipts, they can be worth money in Puerto Rico. Starting in July 2011, Puerto Rico's Treasury Department is transforming receipts into lottery tickets, printing contest numbers on each receipt, and holding weekly drawings for cash prizes ranging from $100 to $1,000. The government of Puerto Rico also plans to have a monthly drawing for a car. Officials will hold a drawing each Tuesday and Saturday, and winners have up to 30 days to collect their prizes. The idea behind this new program in Puerto Rico: The government wants consumers to demand their receipts, to discourage businesses from not paying the 7 percent sales tax by making unrecorded cash sales. Puerto Rico has a strong cash economy, where people keep few records, and do not pay all the taxes the government thinks it should collect. The government of Puerto Rico wants to ensure Puerto Rico's many tiny markets, food stalls and other businesses collect the sales tax(IVU Spanish initials). Although, Puerto Rico took in $1Billion in sales tax last year, authorities estimate that the government of Puerto Rico is only collecting about 52 percent of what it is owed under the law. The Treasury Department hopes to collect $400 million in additional sales tax revenue in two years as a result of this program. The businesses that refuse to use the government issued receipt machines will be fined $20,000. Those caught withholding receipts from customers will receive a $100 fine. 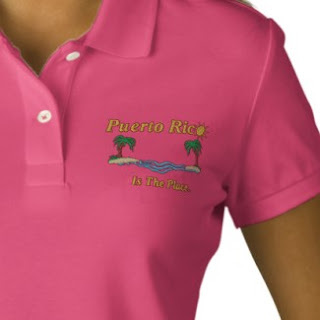 Happy shopping in Puerto Rico, and don't forget to hold on to your receipts and collect your prizes! 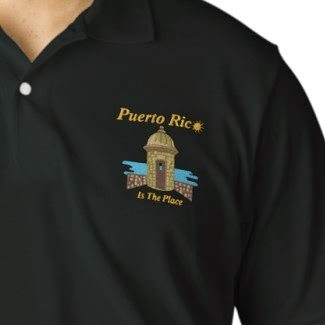 Take a look at the embroidered items at our Puerto Rico Is The Place store. 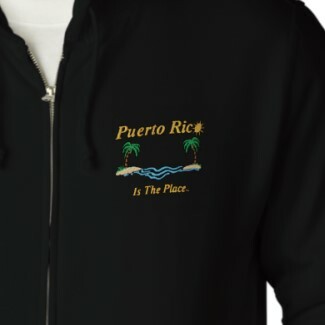 Puerto Rico is in style! Arroz con Pollo (Chicken with Rice) is a tasty dish in Puerto Rico. 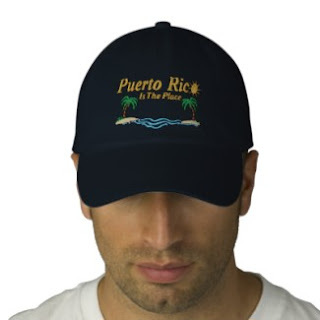 In Puerto Rico, rice is an essential part of a Puerto Rican meal, and Arroz con Pollo is a top choice. 2 1/2 pounds of skinless chicken breast and/or thighs. Cut breast in halves or thirds, depending on the size. Wash chicken pieces and season with salt and garlic powder, to taste. Set aside. if needed. Microwave for 15 minutes on High Power. Add rice and remaining liquid. Stir well. Microwave covered, for 15 minutes on High Power. Stir well bringing rice on the bottom to the top, Cover, and microwave for 15-18 minutes at Medium Power. Let stand for 15 minutes before serving. Taste rice to make sure it is cooked and that all the water has been absorbed. If after the resting time you find that the water is not completely absorbed, cover rice with paper towel. Microwave covered for 4 to 5 minutes more, at Medium Power. If, on the other hand, you find that rice needs more cooking, place 4 to 5 ice cubes on top of the rice. Microwave covered for an additional 4 to 5 minutes at Medium power. Place on serving dish and garnish, if desired.